As part of this year’s commemoration of International Day Against Drug Abuse and Illicit Trafficking, Centre for Ethnical Rebirth Among Nigerian Youths (CERANY), a not-for-project civil society organization is set to organize the first National Alliance Against Drug Abuse for Sustainable Development. double as resource persons at the event are: Alhaji Ibrahim A. Jega, Executive Secretary, National Mosque Abuja; Otunba Segun Runsewe, OON, Director General, National Council for Arts and Culture and Mr. Moses Obikpe of United Nations Educational, Scientific and Cultural Organization (UNESCO). Others are Hon. Peter O. Akpatason, mni, Chairman, Federal House of Representatives Committee on Civil Societies and Development Partners; Dr. Aboyomi Ayansola of National Universities Commission (NUC); Mrs. Yetunde Oni, Ag. Director General, National Agency for Food and Drugs Administration and Control (NAFDAC); Dr. Garba Abari, Director General, National Orientation Agency (NOA), Rt. Hon. Obe Ayodele John, Speaker of Nigeria Youth Parliament and veteran actor, Ejike Asiegbu, former President, Actors Guild of Nigeria (AGN). 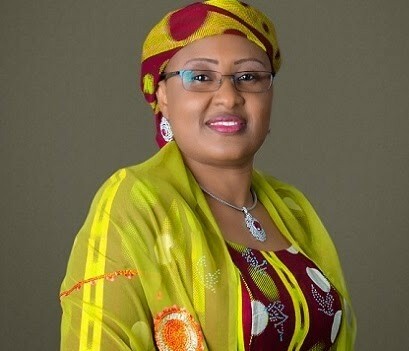 In a release signed by the Chairman of the Planning Committee, Alhaja Abubakar Sarki CERANY said her intervention is a concurrence with the Wife of the President, Mrs. Aisha Buhari’s position that “collective efforts by relevant stakeholders to end drug abuse has become necessary”, noting that if the nation fails to retrieve her youths from the worsening menace of drug abuse now, that our dream of attaining Sustainable Development Goals (SDG) would be in jeopardy. According to Alhaji Sarki, governors of the 36 states of the FCT and Minister of the Federal Capital Territory (FCT) are already nominating youths from age of 21 to 45 for participation in the National Alliance Drug Abuse Train-the-Trainers Conference scheduled for July 18, 2017 at the International Conference Centre, Abuja. The theme of the event is “Recognizing Drug Abuse As National Emergency” and the project’s media partners include Daily Trust Newspapers, Nigerian Television Authority (NTA) and The COLUMN online media (www.thecolumnmedia.com). For more information, contact: ceranynigeria@gmail.com or Call; 09085010000, 09087010000.